Beautiful Decor Lighting or "Uplights"
Beautiful decorative lighting that will turn even the most plain room into something truly special. You can choose a single color, or gently fade between several colors, bathing the walls in a soft, romantic glow. The colors are programmable, and can even be adjusted to match your dress, linen, or theme colors. Watch our decor lighting video to see some of the amazing things they can do! Anywhere from mild to wild, you choose. You have a gorgeous hall with beautiful covered chairs. Complete the look with our Elegant Decor Column Lighting! Beautiful white skirted columns with internal LED lights that will give your room a sophisticated look! There are four columns included: two tall, and two short. You can choose a single color, or gently fade between several colors. The colors are programmable, and can even be adjusted to coordinate with your room colors. The columns can be located next to the DJ, or at the ends of your head table, or place card table. Rent our projector and screen and make your own montage. Our projector and screen plug into our sound system for free! Rent 2 projectors and 2 screens and make your own montage. Our projector and screen plug into our sound system for free! Sound support for an outside vendor that wants to plug their equipment into our sound system for montage (additional charge). Can be added to any of our DJ packages. Indoors or outdoors, we'll help you plan beautiful music for your wedding ceremony. Styles range from traditional to contemporary. Includes up to one hour of time, one formally dressed music coordinator, and a wireless mic for the official. 1). Ceremony in the same room as reception, no separate equipment needed, DJ does not move equip between ceremony and reception. 2). Ceremony indoors, equipment must be moved from one spot to another in the same room, no separate sound equipment. 3). Ceremony indoors, but in a different room from the reception, separate sound equipment is needed. 4). Ceremony outdoors, but within 200 feet of reception location, separate sound equipment is needed. 5). Ceremony at a completely different location from reception, separate sound equipment needed, equipment must be transported. Surprise your family and friends when your first dance suddenly scratches and skips to another group of songs! You pick the songs, and choreagraph your own dance moves. Then, (magically) the song scratches again, and goes back to your "original" first dance song. LOTS of fun! Works great for bride & groom's first dance, father and daughter dance, mother and son dance, or bridal party dance! Call to see a sample. 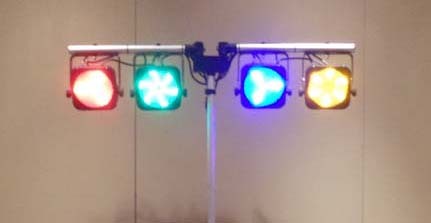 The LED Marquee can be added to any of our DJ packages. Put your name in lights! The words roll and scroll by, delivering any message you want. Great for weddings, birthdays, theme events, fund raisers, corporate events, and more! High quality wireless microphones are already included with All of our DJ packages except the 1 Star Package *already* include a wireless mic. You can add this option to the 1 Star Package. Made for locations where cocktail hour is in a different location than the DJ in the reception room. Works great for cocktail hours in hallways, foyers, patios, and more! Wireless remote speakers are another great choice for cocktail music on the patio, or when cocktails are in a different room or adjacent hallway outside the reception. One pair of speakers is usually good up to about 250 people. For larger groups or unusually large rooms, we recommend a second pair. Top quality "Flutter Fetti" brand confetti stays in the air longer, looks great, and is easier to clean up than other brands. Get the best, and get everyone's attention with confetti! The Stax Dancers add energy and excitement to your dance floor! They will show your guests fun new dances, and keep things moving on your dance floor. 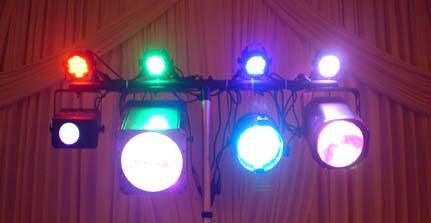 They are especially helpful at kids parties & bar and bat mitzvahs, and can assist with dance floor games and contests. You can have anywhere from two to TEN Stax O Wax dancers on your team! 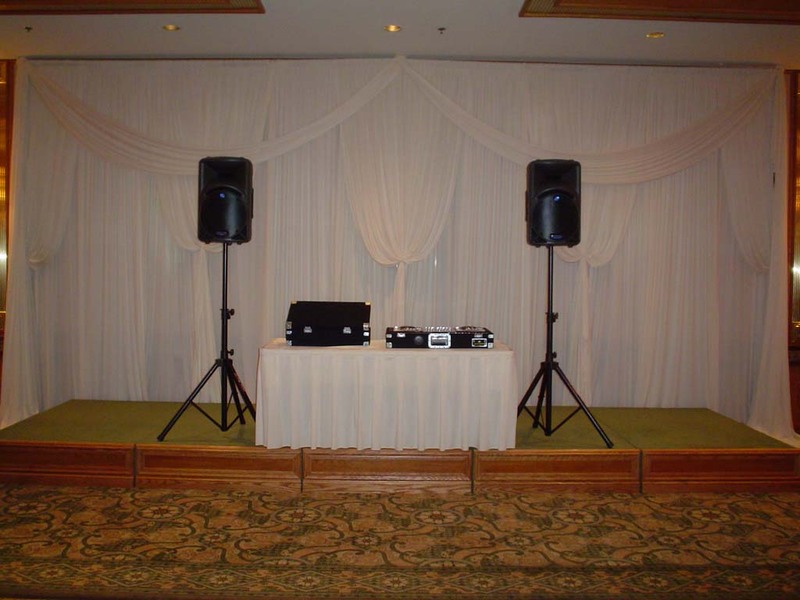 The 1 Star DJ Package can use this option to set up equipment more than 1 hour before the DJ is scheduled to start. The 2, 3, 4, and 5 Star DJ Packages already include this option.